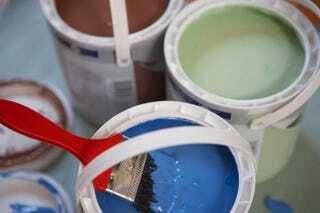 A New Jersey resident who is suing Benjamin Moore says that the company discriminated against him when it named two of its colors clinton brown and tucker chocolate, NJ.com reports. Clinton Tucker, a former employee of the paint company who identifies himself as African American, according to the website, claims that after he was hired in June 2011, he quickly found that he was being discriminated against, the news site notes. He was working on a project for the campaign for a new color collection, according to his allegations, when the new color “tucker chocolate” popped up. That, Tucker claims, was “extremely racially offensive.” Other colors in the collection included tucker orange and tucker gray, NJ.com reports. Shortly after that episode, a colleague, as a joke, told Tucker that the color “clinton brown” also existed. “Despite [Tucker's] repeated complaints and protestations to BM management about these appallingly racial color names, no action was ever taken by Benjamin Moore to change the names of these colors,” the lawsuit read, according to NJ.com. Tucker also said that his white colleagues were given promotions, while he was demoted and denied the opportunity to take Martin Luther King Jr. Day off.